Noted economist Dr. Manuel Pastor discusses inclusion and economic growth in Grand Rapids. Pastor will be at the Wealthy Theatre on Wednesday, September 24. 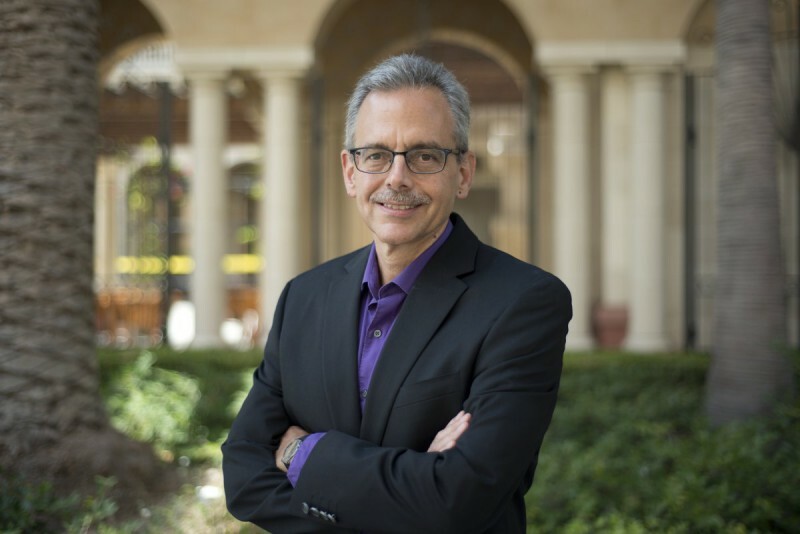 Dr. Manuel Pastor is a noted economist and director of University of Southern California (USC)’s program for environmental and regional equity. He speaks frequently on issues of demographic change, economic inequality and community empowerment and has contributed opinion pieces to such outlets as the Los Angeles Times, the San Jose Mercury News, the San Francisco Chronicle, the Sacramento Bee, the Huffington Post and many others. Find more information on Dr. Pastor here. 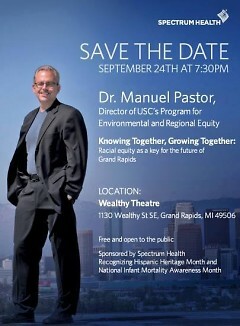 Dr. Pastor will be at the Wealthy Theatre on September 24 to discuss his research and the connection between the conditions of racial equity and economy, and what this means for Grand Rapids. Dr. Pastor’s research addresses the current and future economic challenges of communities such as Grand Rapids, and the importance of addressing very real issues such as the growing disconnect between older, whiter generations and younger generations that are majority people of color, or the disparate outcomes experienced by people of color as they participate in the community and economy. Since moving to Grand Rapids six years ago I have seen the city center grow, entrepreneurship around every corner and innovation encouraged. When I speak to friends and family about Grand Rapids, I am always sure to mention events such as ArtPrize, businesses with unique business models such as Bartertown and our genuine desire to be creative and innovative. Lately, what has increasingly concerned me is the inequity in which this innovation and growth has occurred. Grand Rapids has enjoyed an improving housing market, growing sectors in health, the arts and design and craft beer and relative insulation from de-industrialization. However, at the same time, Grand Rapids still has an African American infant mortality rate that is three times the Caucasian rate. Furthermore, people of color in Grand Rapids enjoy significantly less income, higher unemployment and a lower percentage of college degrees. At this point, no building in the downtown Grand Rapids area is owned by a person of color. What does it mean to call Grand Rapids thriving when so many are locked out of the economy? 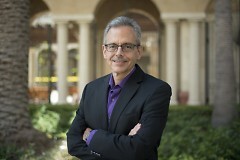 While the data demonstrates clearly that our country is changing into one that is less white with growing disparities, Dr. Pastor indicates he is concerned that “epistemic” barriers – barriers based on knowledge or the level of its validation - within the public and political discourse that disallow us from even agreeing on basic facts as communities or a country. If we cannot agree on basic facts, then our ability to plan and act together toward this inevitable reality as a community is impossible. If we are unable to act, then as populations of color grow to become a larger part of the population pie, so will these inordinate disparities. Without collective action to ensure the success of these future generations, our communities will end up poorer. They will have less disposable income, less tax base and more of a safety-net tax payer burden. It seems simple that collective action must be taken. However, this issue is rarely at the top of the agenda for local political, business or media discourse. Pastor's reason for becoming an economist is not only motivating but rational. While in undergraduate studies, he wanted to “do something good, to help people or make things a little more fair.” The reaction he often received in response to his desire to do good was “it will make the economy worse.” Pastor refused to believe that this could be true. This challenge motivated him to enroll in graduate school. What he discovered is that there was in fact an economic strategy that included justice, fairness and inclusion. As a young professional who is working to achieve health equity in Grand Rapids, Pastor’s research is a prophetic beacon. His use of rational economics to convey the urgency of addressing issues such as inclusion resonated with me. I am a Latina who is concerned with issue of disparities that plague the Latino community, but equally as a member of the Grand Rapids community I am concerned with the economic ramification of not addressing, or even being will to seriously discuss, basic challenges across sectors that hold us back from true growth – growth that includes everyone. Pastor also recognizes that Grand Rapids has extraordinary strengths. Despite Michigan being mired in a recession much of the past decade, Grand Rapids has performed relatively well economically. It is clear that Grand Rapids has a history of city and community leaders that are concerned about the economy of the city and make decisions accordingly. Looking to the future, we must be aware that by 2030, the United States will be a “majority minority nation.” According to Dr. Pastor, this means that the majority of the nation will be “minority.” Unless we are motivated to deliberately invest in the next generation so they, too can achieve the prosperity experienced by past generations, less and less of us will experience it as these changes take place, which means that more and more people will miss out. We must ask ourselves: is Grand Rapids prepared for this shift? The cities and regions that astutely and intentionally prepare for this future will remain the most economically relevant. Let us rid ourselves of epistemic barriers and talk reasonably about our future. Dr. Manuel Pastor has provided a map; we need only to explore it together.